Ironstrike is a sans-serif typeface created by James Walker Puckett and published by Dunwich Type Founders. Characterized by Round tops and bottons, Tall x-height, Orthogonal Terminals and Straight Sides, Ironstrike comes in 7 weights (from Thin to Black) and their italics, maching Stencil Fonts, Open Type tabular figures and a lot of language support. It is ideal for display, editorial projects, headline, magazine, logo, poster, packaging etc. You cannot miss it! 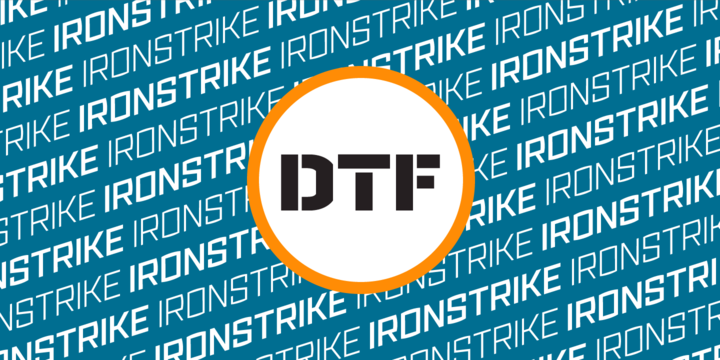 “Ironstrike” is a trademark of Dunwich Type Founders. A font description published on Wednesday, May 7th, 2014 in Dunwich Type Founders, Fonts by Alexandra that has 3,878 views.